I might be sailing my freak flag a bit too high with this post, but I can’t resist. We just got back from our annual trip to western New York to visit Darrick’s family, and one of our stops was the 4-H fair. 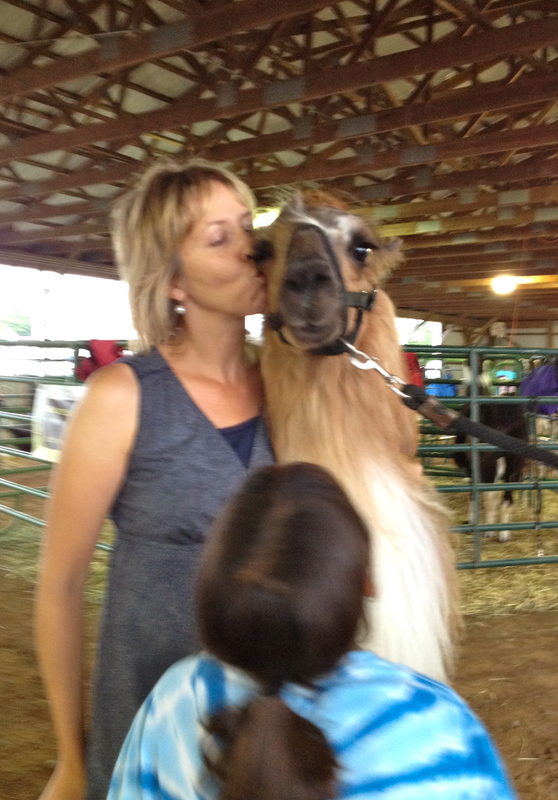 After passing the skeezy carnival rides run by probable felons, I made a beeline straight for the llama barn. Let me tell you right now that I adore llamas. Why? Click here. Seriously — how can you not love creatures who look like they walked straight out of a Dr. Suess book? 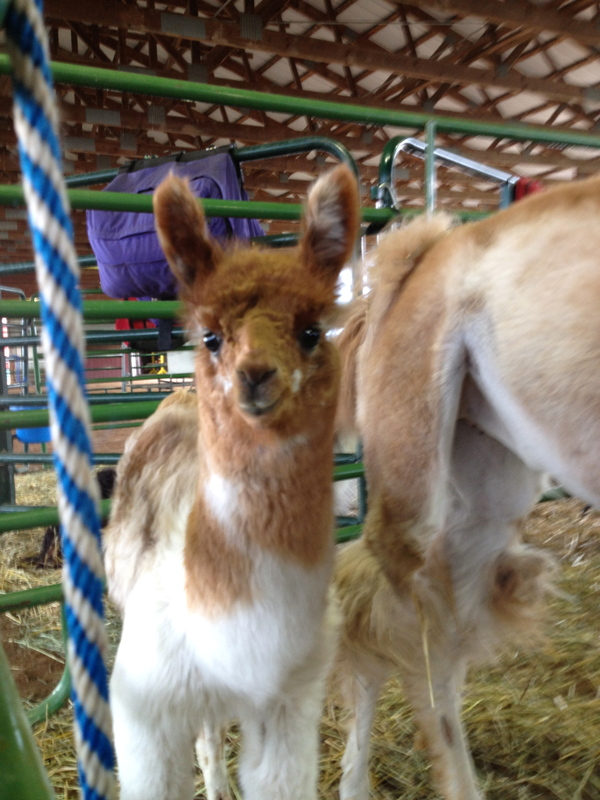 This year, much to my extreme delight, there was a BABY LLAMA! It was the cutest thing I’d ever seen. I lingered so long at its pen trying to commune with the little fuzz ball, I worried the 4-H’ers might get a restraining order. The rest of my family hasn’t guzzled the llama Kool-Aid as much as I have, and eventually we wandered over to watch the dog agility show. While we waited for the show to start, they asked for volunteers to run the dog through the obstacle course. My nine-year old son Sam was picked, but unfortunately he didn’t realize he was supposed to run along side the dog as they did the course. Those border collies are quick little suckers and Sam did his best to keep up. When it leaped over the first set of hurdles, so did Sam. The audience laughed like it was part of the act. Luckily, the instructor called him off before the dog headed into the water hazard. So back to the llamas. While other kids tried their luck with the dogs, I caught sight of a girl standing near the bleachers with her llama. It was practically begging me to come over and chat. I asked innocuous questions about the llama’s age, eating habits, etc. 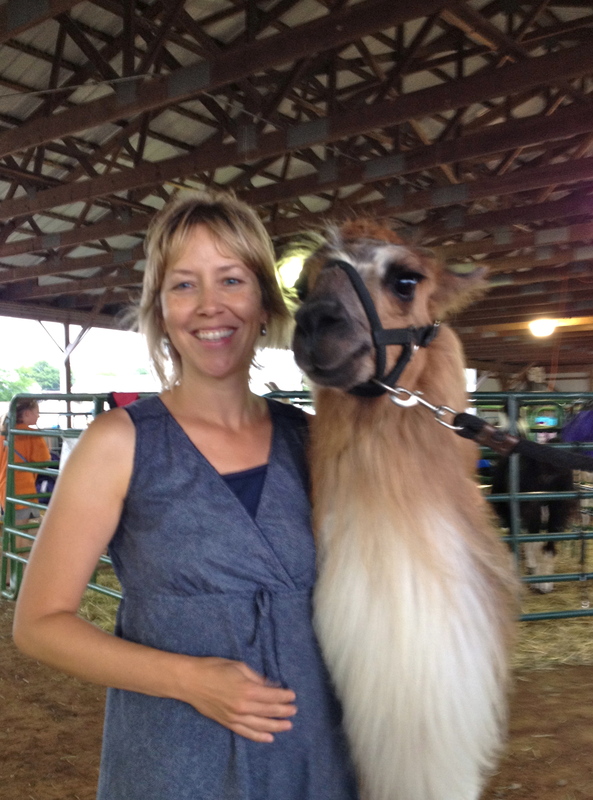 when what I really wanted to do was throw my arms around that llama’s goofy neck. 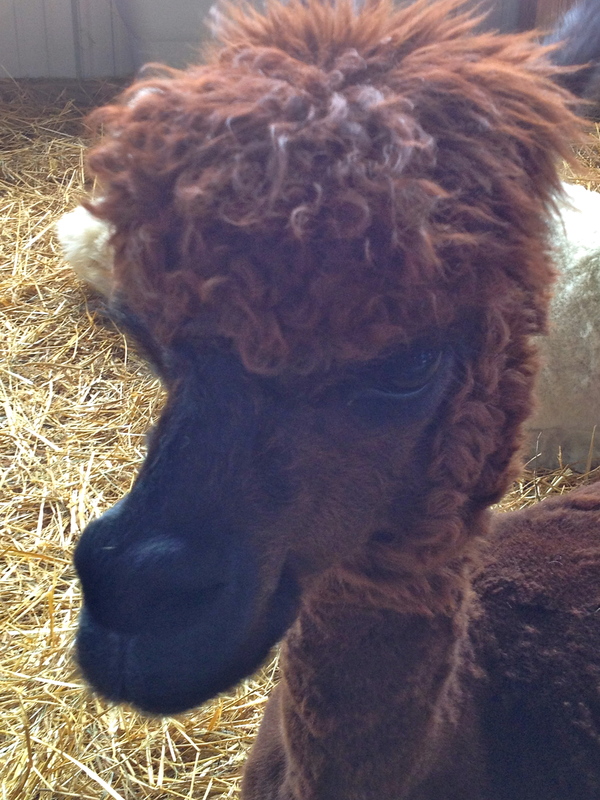 I learned the llama’s name was Desi, and she’s a big diva from getting to ride in cars and stay in the house. By now my wild children had joined me, primarily to be sure I wasn’t about to make off with this girl’s pet. Kids come in very handy sometimes, and I was able to ask if they could pet Desi. Sam gave me the stink eye because he knew I was the one with the burning need to pet the llama. Then I asked if we could take a picture. I slowly put my arm around Desi, unsure if that was a wise move, but I couldn’t help myself. Even though llamas like to bat their big wonky eyeballs at you, they can kick like a hopped up ninja. To my great surprise, Desi the llama leaned into me. I checked in with her owner to make sure I wasn’t about to get a face full of llama spit. Her owner said that Desi is affectionate, and that’s her way of saying she liked me. *HEART MELT! * That sealed the deal. I just had to kiss her. She is sort of smiling! She sure my day. Thanks for the comment! You are such a lovable freak Beth 🙂 This is a great story! Miss YOU! Thanks for reading, Jeannie! I miss you, too. Hugs to your fam!